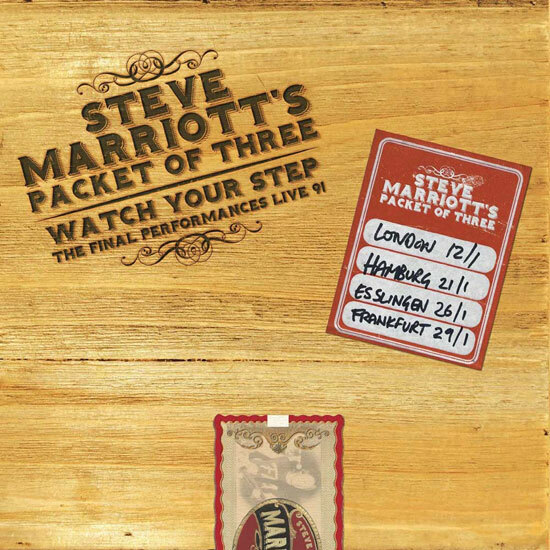 The last gigs of Steve Marriott are being issues as a four-CD box set, going by the name of Watch Your Step: Final Performances ’91. The set also includes ‘extensive’ and ‘revealing’ sleeve notes detailing Steve’s final years, his last recordings and his plans for future musical ventures. You will also find exclusive photos taken from those shows, personal shots of his later years, handwritten letters, lyric sheets and set lists. As for the music, that’s all listed below, a mix of classics, covers and later material. The release date for this is 24th November 2017 and the pre-order price is £21.11.